Are you looking for an affordable option for self storage? Maxwell Mini Storage is proud to be able to offer you the secure, ground floor, interior units that you need. We have a large variety of sizes for our traditional and specialized climate-controlled spaces. Our fully secure site also houses all kinds of RVs, cars, and boats with our covered parking bays. This means you can keep your vehicle protected throughout the year. You may be concerned about the security of your possessions. Thankfully, our secure fencing, gates, unit doors, and professional surveillance equipment can prevent theft and damage. We are the go-to storage facility for the people of Montgomery and the surrounding areas. Our site is located between the merging intersection of Interstate 85 & 65 and Highway 31 on 312 Air Base Boulevard. We are just outside Maxwell Air Force Base and close to Alabama State University. 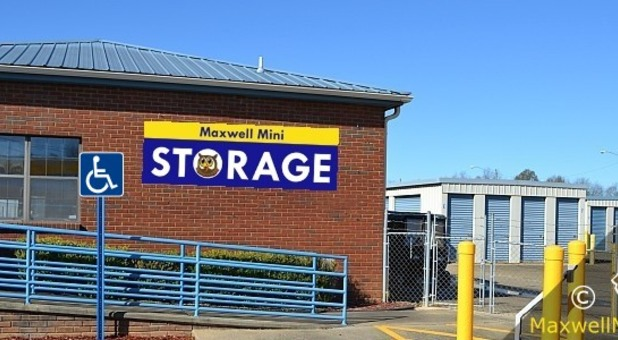 At Maxwell Mini Storage we believe in renting you a storage unit that is convenient to you in every way. This is why we provide ground floor storage with drive-up access as well as dollies and handcarts if you need them. We even have an easy-to-use program where you can pay your bill online. This means you can check your account from wherever you may be. Open seven days a week, our property is located in downtown Montgomery and serves clients from Prattville, Millbrook, Wetumpka, and Hayneville. Our team is here to make your time with us stress free and we will strive to help meet your specific needs. We value the service of members of the military and offer a 10% discount with ID card. 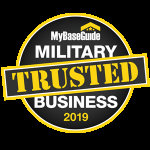 With our already competitive prices our military discount guarantees you a fantastic price! We're located next to Maxwell Air Force Base (AFB).